does not match Morris' assertions of what happened to her. only made allegations that she'd been raped when facing arrest for damaging her ex-boyfriend's car - allegations which kept her from being arrested. admitted that she initially lied when she gave her first account of being picked up and raped. very reluctant to be involved in the investigation and asked Det. Gregory several times to be left alone. 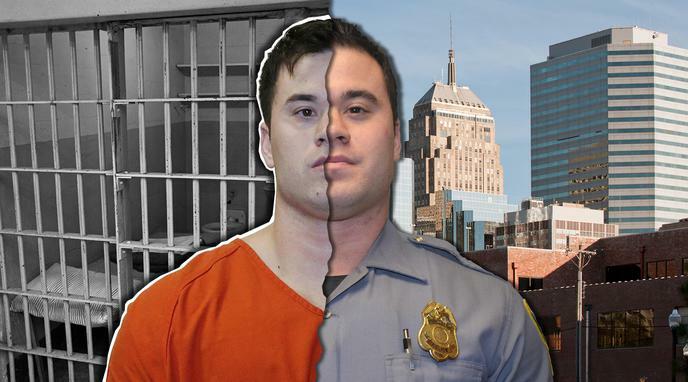 were abandoned by detectives after accuser Terri Morris was shown a photo lineup containing Holtzclaw's and failed to pick him out as her attacker. Morris was the first and only accuser to be shown a photo lineup. Terri Morris made the allegation of sexual assault prior to any news coverage or public disclosure.